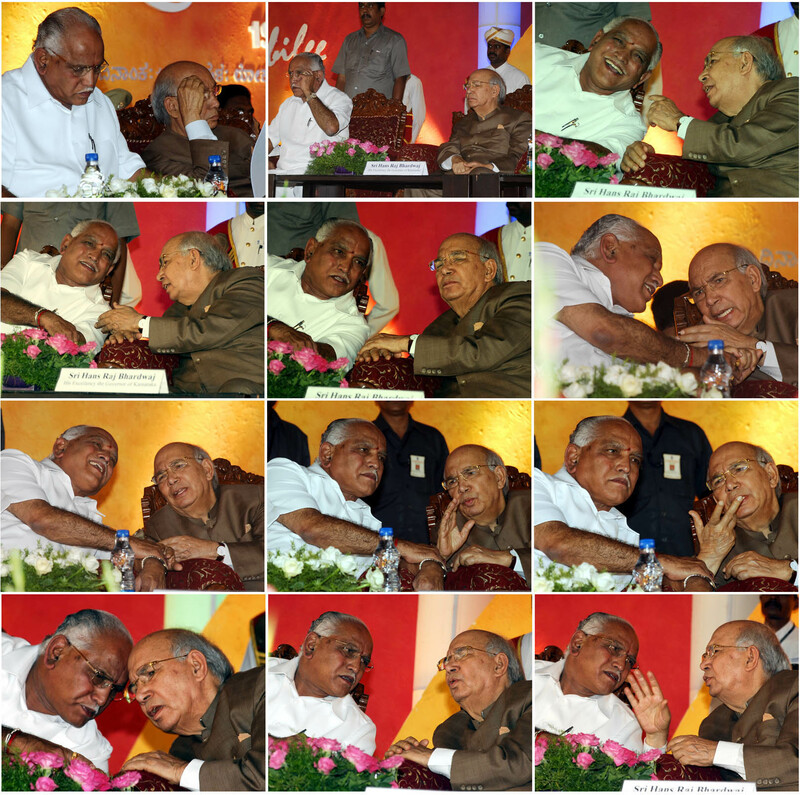 The many moods of chief minister B.S. Yediyurappa and governor H.R. Bhardwaj, barely days after they were at each other’s throats, during the diamond jubilee celebrations of the Karnataka public service commission (KPSC), at Udyoga Soudha in Bangalore on Wednesday. This entry was posted in Issues and Ideas, Kannada & Karnataka and tagged B.S.Yeddyurappa, B.S.Yediyurappa, Churumuri, H.R. Bhardwaj, Karnataka Photo News, KPN, KPSC, Sans Serif. Bookmark the permalink. ← A governor whose time has come… to go? Who said There are no permanent friends or enemies, but permanent interests in state relations.? There are no permanent foes or friends in politics, only brothers or cousins!